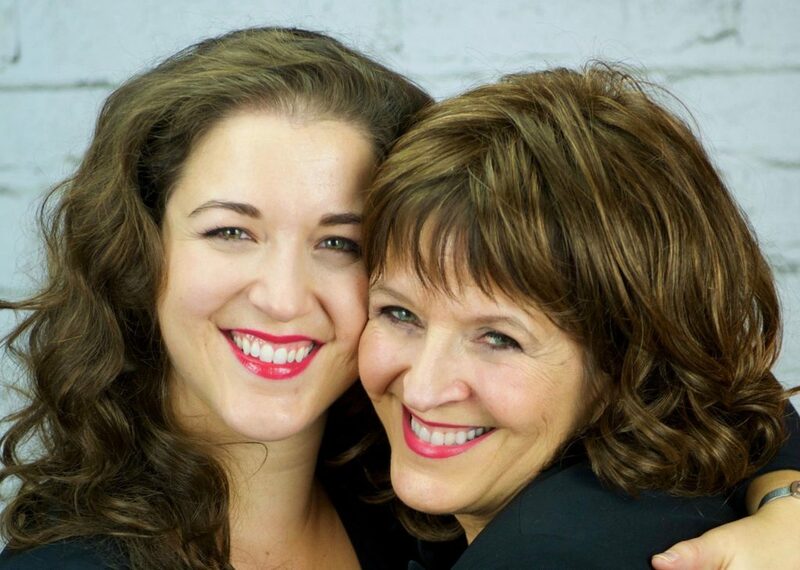 Colleen Raye and Sophie Grimm are mother and daughter, and what could be better for Mother’s Day than a Mother-Daughter cabaret show? Colleen and Sophie are both seasoned cabaret veterans, with Colleen triumphing around the country from her Minneapolis home, and daughter Sophie tearing up the Chicago scene. For this special Mother’s Day show, Colleen and Sophie will bring to Hey Nonny their tribute to the best women songwriters of the Great American Songbook era. How about Dorothy Field’s lyrics on “The Way You Look Tonight” and “If My Friends Could See Me Now?” How about Ruth Lowe’s music and lyrics for “I’ll Never Smile Again?” Ann Ronell’s classic “Willow Weep For Me?” This will be a warm and fun afternoon of maternal musical magic. Colleen Raye is an accomplished singer, actress and entertainer. A Wisconsin native, Colleen began her singing career at age 15 in her bother’s band. After winning a talent contest in St. Paul, Minnesota at age 19, Colleen hit the road touring nationally with the Donnie Sanders Show. Not long after, Colleen met Steve Grimm, a former New Christy Minstral, and they formed the aptly-named Steve Grimm and Colleen Raye Show, a successful night club band. During the 18 years that of that show, Colleen and Steve produced not only a lot of great music, but also four great children, including the co-star of this show Sophie Grimm. Since then, Colleen has traveled the country from Atlantic City to Las Vegas and has also become an in-demand producer and composer. Sophie Grimm began her career as a child doing commercials for the likes of Target and Kodak, but by high school was an all-around performer, singing, dancing, playing the trumpet, and performing in musicals everywhere. She also toured nationally with her mother, and with other show groups, eventually even playing Carnegie Hall. In the midst of all this, Sophie received her degree in Musical Theater from Roosevelt University and makes her home now in Chicago. Here, she’s now a regular in theaters all over town, including The Paramount, Marriott Lincolnshire, Drury Lane, Chicago Shakespeare and the Chicago Children’s Theatre. In addition, Sophie is an active cabaret performer, collaborating with her mother Colleen, her cousin Caleb, or her husband Vasily.